Barbara is the Chief Human Resources Officer at Hilton Grand Vacations. In her capacity, Barbara is responsible for overseeing teams of highly expert human resources consultants that provide business partnerships aimed at optimizing key talent for Hilton Worldwide. Barbara’s professional experience spans more than 20 years and is highlighted by strategic human resources management, customer-culture management and organization development. 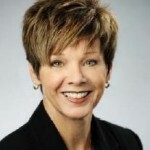 She has previously served as Vice President and Senior Vice President at Hilton Grand Vacations, as Vice President, People Services for Scholastic Book Fairs, Inc. and as President of HLH Associates, a human resources and customer relations management consulting group. Barbara’s leadership has always been centered in the philosophy of listening, learning and supporting others with heartfelt passion, care and concern. She is a firm believer in the human spirit to prevail and role models the gift of giving back to others every day, encouraging all to give a little and reap a lot… she is a loving wife, passionate mother of two daughters and caring grandmother of two, all of whom provide her the inspiration and motivation to be the best she can be. Barbara is also an active member at the Rollins Group, offering coaching/feedback services to aspiring leaders as well as active involvement in multiple charitable organizations in the Orlando area.